You are here: Home / Physical Kitchness / 30 Minute Real Food Meal Revolution Release! 30 Minute Real Food Meal Revolution Release! 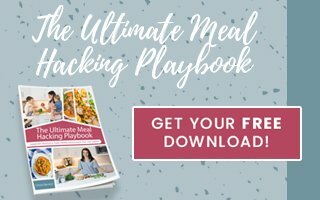 The 30 Minute Real Food Meal Revolution release is here! 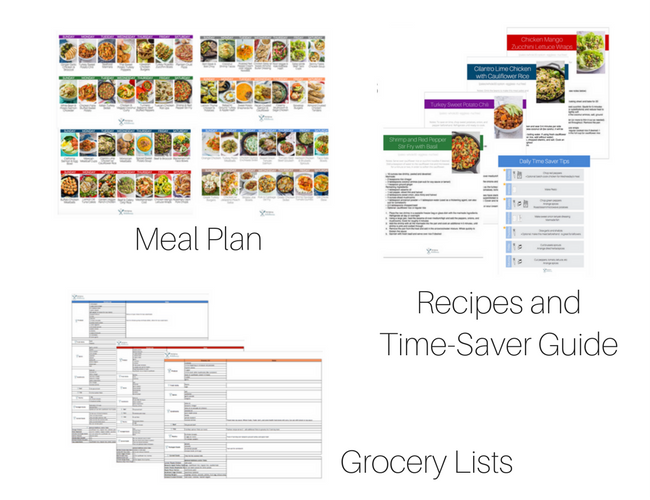 An 8-week meal planning guide with 56 recipes, weekly grocery lists, and time-saving prep tips to make dinnertime less stressful and full of variety. Every meal is gluten free, dairy free, and void of any processed junk. The time is now to make dinnertime enjoyable again! In January 2016 I completed my very first Whole30. I spent the entire week after Christmas planning my meals, jotting down my grocery lists, and researching the best recipes. I was a machine – ready to tackle this Whole30 thing. And at the time, I was a mom of one with a good chunk of free time due to an awesome little afternoon napper. No matter how skilled you are in the kitchen, how organized your life is, or amazingly well-behaved your kids are (if so, please share your secrets), sometimes dinnertime is just crazy. There’s no technical or eloquently-phrased way to put it. Just CR-A-ZY. But I’m a full-time food blogger! I knew I had to figure it out – it’s my job! So I began deviating from the standard ‘healthy living’ norm of Sunday batch cooking and meal prep. ‘Cause my Sundays are precious folks! I also began analyzing the the ways I could eliminate the overwhelm and make processes faster, easier, more efficient. I had lists all over my fridge, I tested food combos like crazy, and I decided I was going to make dinnertime easy (like it should be). After I figured out the ‘special sauce’, the magic formula, the SIMPLEST way to keep it easy, healthy, and tasty, I knew I could help thousands of women do the same. It’s been almost 8 months of recipe testing, designing, and planning, but it’s finally here! The 30 Minute Real Food Meal Revolution. I’ve talked to busy moms and crazy career women this entire year, listening to the frustrations that holds them back when it comes to eating healthy and cooking nutritious meals. I’ve worked with a test group, I’ve made lots of tweaks, and I figured out what people REALLY need. Can you guess what the biggest deterrence for eating well is? You know what came in second? Time and money. We all wish we had more of it! And although I wish I could tell you The 30 Minute Real Food Meal Revolution will magically give you more hours in the day, or the system comes with a big wad of cash, unfortunately, I can’t. But what this system WILL do, is save you time and money. And that’s almost just as good, right?! 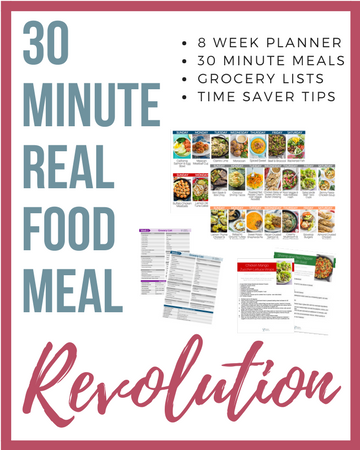 The 30 Minute Real Food Meal Plan Revolution is an 8-week meal planning guide with easy recipes made with only good-for-you stuff. No processed food, no soy, no gluten, and no dairy (unless cheese is your thing, then you can always add at your own pleasure). That’s a total of 56 recipes easy and healthy recipes. You CAN make healthy meals with real-food ingredients in 30 minutes – it’s absolutely possible. Meals that your family will eat, meals you’ll feel like a rock star making, and meals with very little prep. 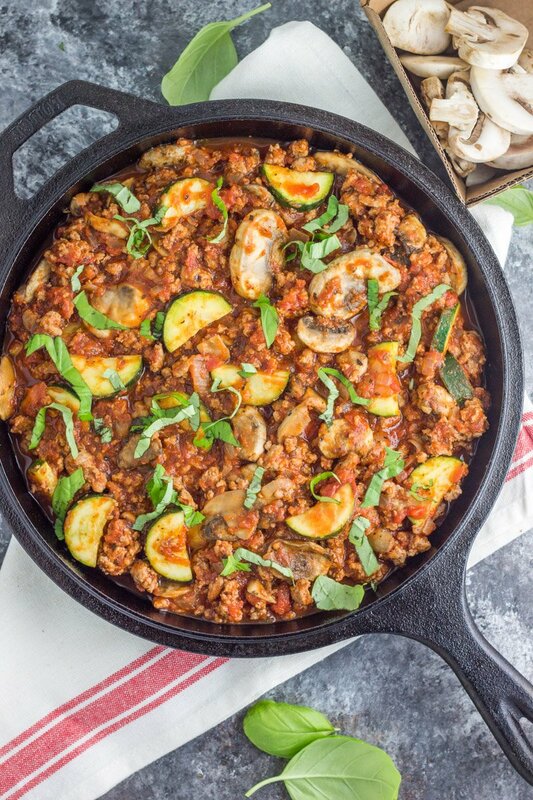 There’s even a key within the plan that outlines the best meals to make in bulk (that make great leftovers), for those busy weeks when cooking every night just isn’t gonna happen. some AMAZING bonuses that are only available for a limited time! Curious to learn more? Click HERE for additional details, frequently asked questions, photos of the plan, bonus details, and everything you need to get the 8 week plan directly to your inbox. 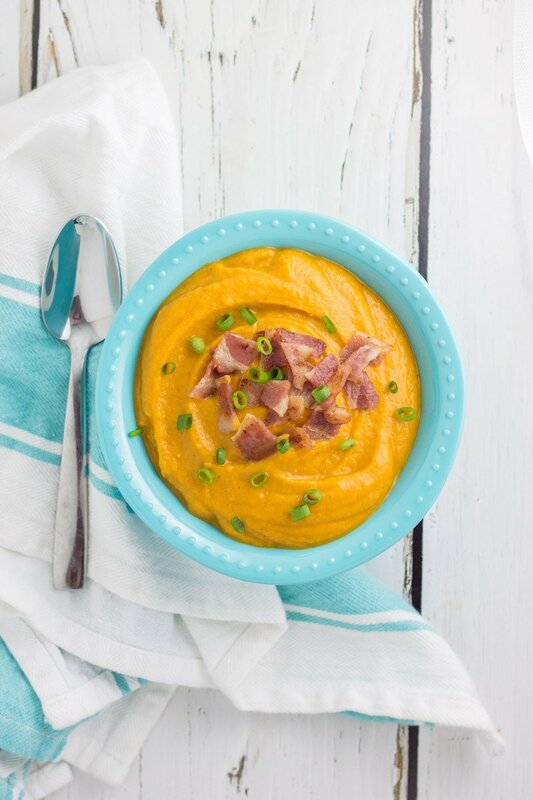 Take the first step to making life easier and taking charge of feeding yourself and your family the best, nutritious meals without sacrificing time. Ready to purchase? Click HERE to get your guide in seconds! 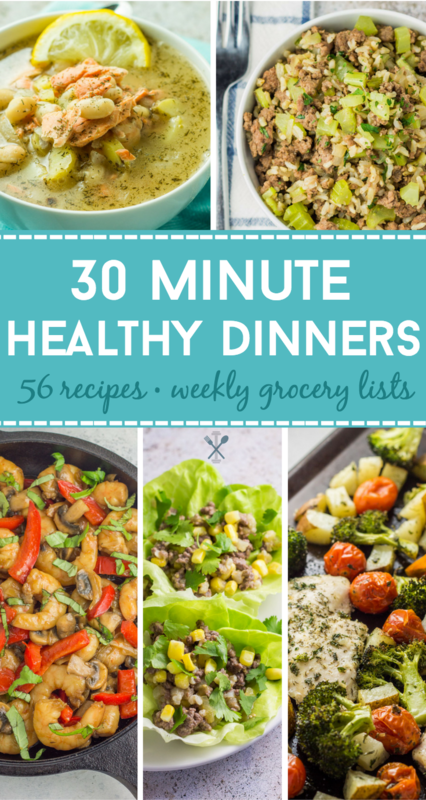 Don’t wait to get your hands on THE system that will help get or keep you on track, make life a little less hectic, and eliminate the overwhelm when it comes to making healthy dinners for scratch. Thank you Emily. Lots of work but so happy it’s here! Hi Megan – sorry for the delay. You could sub most of the shrimp recipes for chicken (just make sure you cook it longer than what a shrimp would take time-wise)! Or omit the ones you can’t sub with chicken and choose something else for that meal. Hi Chrissa! Love your blog. Now I need to get your ebook! Fingers crossed for the giveaway!! !